MUFF WIGGLER :: View topic - Looking for a builder? Post here! Looking for a builder? Post here! In response to the glut of people posting looking for builders in the Builders For Hire thread, it was suggested that perhaps a corollary thread was needed. So, if you are looking to get something built, post here! (and not in that thread anymore please) It's probably a good idea is to indicate your location. It's ok I found a builder. I'm interested in working with some talented circuit designers to develop some concept ideas into prototypes. As a product designer and modular enthusiast I have lots of concept ideas I would like to develop and am looking to work with someone who has good knowledge of circuit design. I have delved into DIY and have built a couple of modules but my understanding of circuits is only rudimentary so would like to work in partnership with someone who can help me develop my skills and in return share ideas for concept and interface design. I am interested in both analogue and digital projects. I have learnt Altium designer and had boards developed for a first project. Would be very interested to hear from anyone who would like to work with me as a fun tryout project to develop a module, and with a view to develop something commercially later. I am based in UK. Looking for someone who can build me a simple break out module for my Pro-2. Basically just want to get all the back panel connections on the Pro2 in my euro case. I’ve got the kit and the parts from mouser. Proximity to Olympia WA a plus. Thank you Synthetek for building this! Do any builders check this? Sure, I do at least. Looking for someone who can build the CGS Serge WAD clone, hit me up! 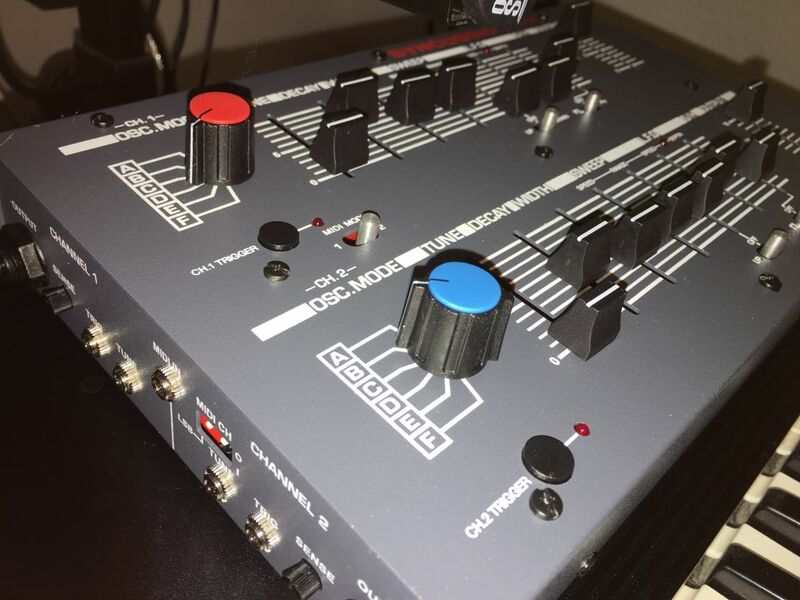 Im about to take the plunge on starting a small 3u eurorack to complement my DfAM, Microbrute, volcas etc. I need a clap of some kind. Analog if possible. I'm not too particular on specifics, I just want the name on the faceplate to be P.P. Burns. What am I looking at, cost wise? Just Curious. Thanks. Anyone interested in building a rasteri sc1000 for me? All of it..
looking for someone to build a buchla 208 clone for me, preferably local to Toronto, Canada. in the audio path like the original,the sound is incredible ,imho more fat and present ,the logic stable .I ve designed a new card 12 as an option with a new audio bus,real reverb driver,a 2w 4 ohms phone out .and the Mo dry audio out separate. maybe there is someone who is planned to make one for him(her)self and can build one more. need a 606 tech. Im in Richmond va, Im looking for a tech to mod my 606. I want trigger inputs to all sounds. (able to handle 12 volt gate). Closed hat trigger should close open hat. Also, Audio in to Hi hat filter. I'm looking for a US-based tech to take care of the Nava that I seem to have bricked when troubleshooting. Someone who has built or worked on one before would be great. I also have a couple of Euro DIY modules that have issues, and a 606 that is behaving strangely. The Nava is the priority, but if anyone wants to handle them all, that would be great. Cheers! Trying to get a price on an Ornament and Crime 8hp version. Any takers? 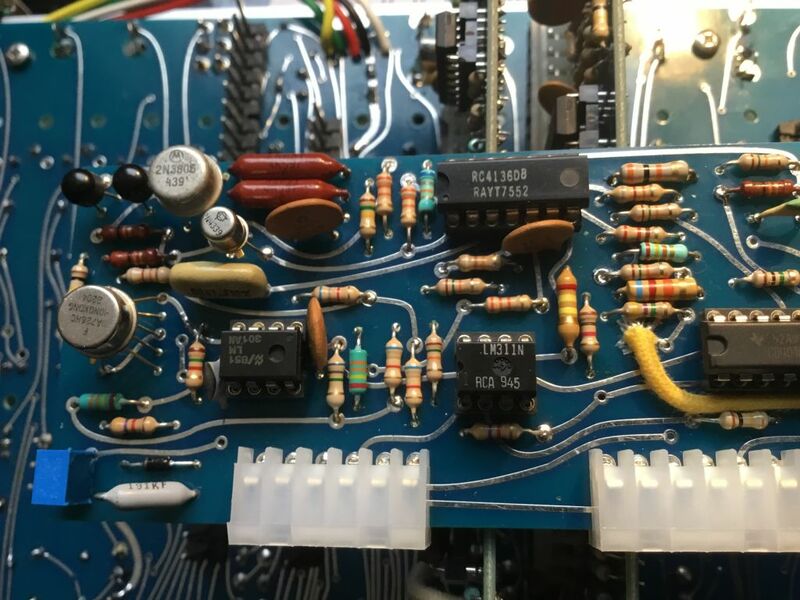 Dear all, anyone out there who would build a Buchla 277 for me? I found an old Zero Halliburton case that I believe is the right size to house four 4U panels. I don't have tools or skills to do a good mounting job. Anyone in southern California good with cases?